The Great Destinations California Gymnastics Invitational hosted by Media City Gymnastics will take place at the Disneyland Hotel in Anaheim, CA - Friday, January 25 - Sunday, January 27, 2019. The Great Destinations competitions will be featuring all levels of women's gymnastics for USA Gymnastics Levels 1-10/Open and Xcel. Specific breakfast details . . . We will be offering two breakfast times each morning at 7:30am and 9:00am. Gymnasts competing on Saturday may attend Sunday breakfast and gymnasts competing on Sunday may attend the Saturday breakfast. Coaches, please register your gymnasts to attend using the registration links below. Gymnasts tickets are free. The registration deadline is Tuesday, January 22nd. Breakfast is currently available for gymnasts and coaches only. If we have space available after the registration deadline we will open it up to parents as well. We are looking forward to a great competition! Hey everyone, my name is Peng. 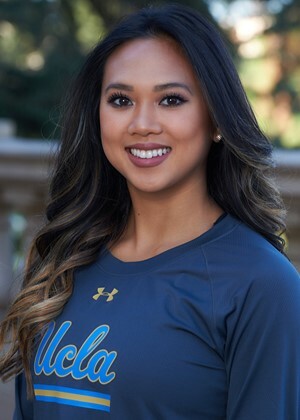 I was the 2012 London Olympic Canadian Team Captain and scored two perfect 10's at the 2018 NCAA National Championships to help UCLA Clinch the 2018 NCAA National Champion Title. Through my gymnastics career, I scored 10 perfect 10's, 2018 Honda Sport Award Winner, 2018 Co-Pac 12 Scholar Athlete of the Year, 2018 NCAA National Beam Champion and nine-time All American. I am currently a Youtuber and an aspiring actress / host. You can follow my new journey on Social Media: Instagram & Twitter @Pengpengclee. Come and join the Penguin family on my youtube channel @PengPengLee. I am looking forward to meeting the participants of the Great Destinations Invitational! !